An island institution! 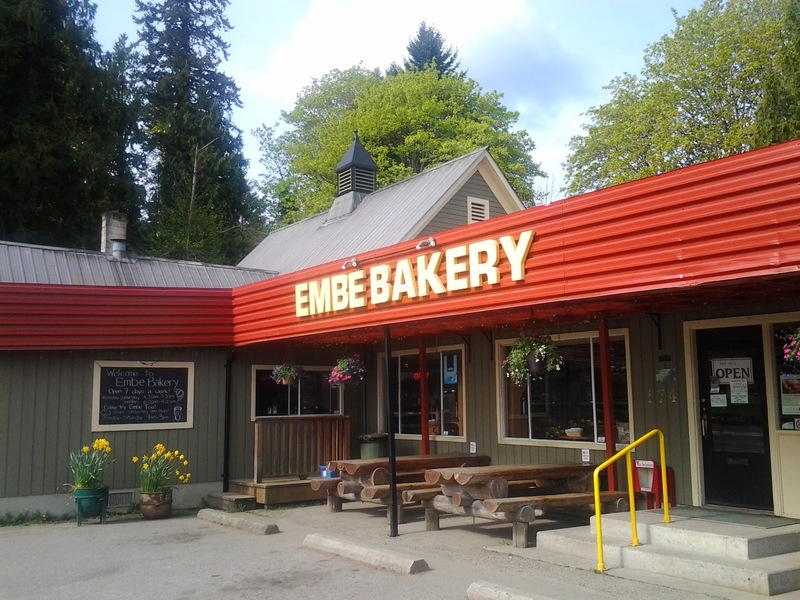 Located in the historic Salt Spring Creamery building, Embe has long been a favourite spot for locals and visitors alike. We offer a large selection of goods (and goodies) baked fresh daily. Our pies, pastries, breads and savouries, make a great quick lunch or, will add the finishing touch to your dinner. Fresh made sandwiches from our Sandwich Shop paired with a hot or cold beverage, will provide you with a perfect picnic. Don’t forget the dessert! Orders, large or small, for any of our product are always welcome and can be place by phone or in person.